Russian state-owned gas giant Gazprom signed a deal June 18 to double the capacity of the Nord Stream gas pipeline that delivers Russian gas directly to Germany. The deal is a precursor to war. But make no mistake: This pipeline deal has geopolitics all over it. And it could give even more power to Russia and Germany. Europe is increasingly dependent on gas supplies from Russia. British and Norwegian North Sea oil and gas fields are aging rapidly. Energy production rates are falling off a cliff with percentage declines in the high teens—without any end in sight. The fracking revolution is almost purely an American phenomenon and has not happened in Europe. Call it a combination of public opposition and the revenge of geology. This leaves the vast majority of Europe heavily reliant on oil transported from Russia. And as the North Sea production fades, Western Europe desperately needs another source for oil and gas. Russia wants to be that source—but to provide it in a very dangerous way. 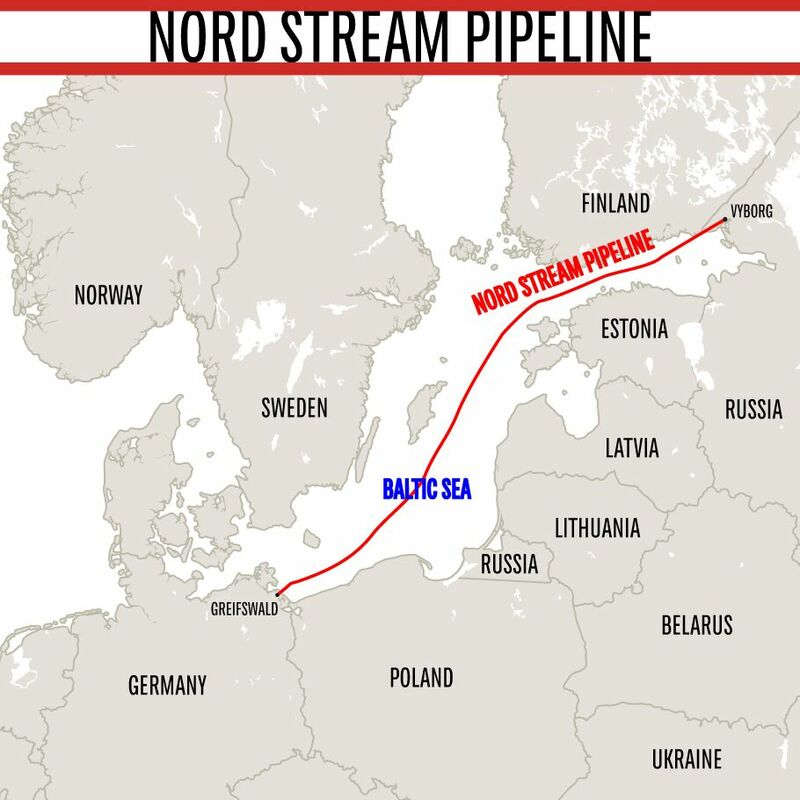 If this next phase of the Nord Stream pipeline goes through (and it could take several years), it will give Russia the ability to turn off the gas to countries like Ukraine and Poland while still sending the more powerful Western nations all the gas they need. Actually, it is more dangerous than that. Once this pipeline is finished, almost all of Eastern Europe can be completely cut out of the gas picture. There will be no need for any gas to transit through Ukraine, Poland, Romania, Belarus, Hungary or Slovakia. Think of the huge leverage this will give Russia. A Swedish Defense Research Agency study conducted by Robert L. Larsson counted dozens of incidents since 1991 when Russia turned off the gas to Eastern European nations for political and economic reasons—sometimes during the dead of winter. Nord Stream is part of Russian President Vladimir Putin’s strategy to regain control of Eastern Europe and rebuild the Soviet Empire. Comply or freeze. Here is the point. Eastern Europe opposed the construction of the first Nord Stream pipeline, but Germany and Russia pushed it through anyway—even though its construction dramatically increased the odds of Russian aggression. The Nord Stream pipeline radically increases German power too. It could be argued that Germany could be forgiven for agreeing to help Russia build the first phase of the Nord Stream pipeline. But what about now? Why would it agree to construct something that exponentially multiplies the probability that Russia will be able to invade other Eastern European nations? Because the Nord Stream pipeline radically increases German power too! Germany may not have much in the way of natural resources of its own, but with Russia’s help, it is becoming an energy hub of Europe! Increasing quantities of Russian gas are flowing through Germany before being distributed to countries like the Netherlands, Belgium, France and Britain. In this way Germany leverages the power of Russia. Western Europe also is becoming dependent on Germany for gas supplies too. Like Russia, Germany will soon be able to push a button and shut down gas supplies to downstream nations. German energy firms dominate much of Europe’s energy supply networks and utilities. German-based E.ON has become a dominant energy company in Europe, owning operations in 12 European nations. rwe and basf are other German corporations with major power infrastructure networks across Europe. Germany too will soon be able to send ultimatums: Comply or freeze. German energy firms dominate much of Europe’s energy supply networks and utilities. Don’t let the current conflict in Ukraine cloud what is happening. Germany and Russia have a history of secret cooperation—even when headline conflict appears to indicate otherwise. That Germany and Russia would push through such a deal when the West is supposedly sanctioning Russia for its actions in Ukraine speaks volumes. The presence of a deal between these two nations is not a sign of peace. Like the Molotov-Ribbentrop pact, and so many others before it, it is a sign of exactly the opposite. Both of these nations are looking to secure their shared border—so they can pursue their imperialistic aims elsewhere! It is a precursor to war! That is the way they operate! In March of last year, the world was stunned as Russia marched into and annexed Ukraine’s province of Crimea. Yet it shouldn’t have been. 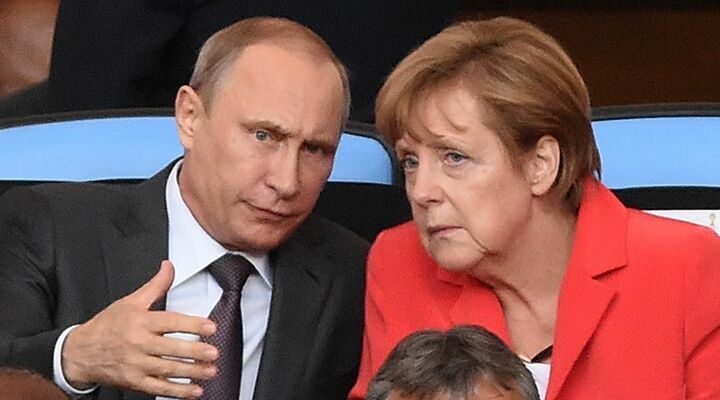 As Gerald Flurry pointed out: “Russia has Germany—and all of Europe—over a barrel. Cutting off part of the flow of gas to a country would wreak havoc on the economy!” The implication was that a gas crisis with Europe might well be used to carry out Putin’s plan: to wrest back control of Ukraine. With the first phase of the Nord Stream pipeline complete, Russia already has great power over Ukraine and other Eastern European nations. But if the proposed expansion takes place—all of Ukraine and other Eastern European nations could be doomed to return to the Russian fold. Germany may support Ukraine with words, but watch its actions. Watch as Russia rebuilds its Eastern European empire. And listen as those nations who don’t want to fall under Russia’s control clamor to Germany for protection. The whole world should see this developing and realize that it can only end in war. That is what history says. Read Gerald Flurry’s 2008 article “Russia’s Attack Signals Dangerous New Era” for a powerful preview of the near future.